ASTANA – FC Astana qualified for the group stages of the UEFA Europa League after recently outscoring APOEL over two matches. Photo credit: FC Astana press service. FC Astana first lost to APOEL 0:1, making it necessary for FC Astana to score first in a home match. FC Astana’s footballer Pedro Henrique scored a goal in the 15th minute by a penalty kick. After the Astana goal, APOEL made several attacks on goal, including some one-on-one situations. All of those attempts were stopped by Kazakh goalkeeper Nenad Eric. Ultimately, entry to the group stages was determined by a penalty shootout in which Eric made three saves, thus qualifying FC Astana for the main stage of the UEFA Europa League. “Our supporters are glad and will try to give it our best in the next matches. We had a task to play in the main stage of the Europa League. And, finally, we reached it. Thanks to supporters, we managed to reach it. All thirty thousand spectators shouted my name, it makes me glad. Our supporters are the best. It is such support that keeps us in progress and makes us play well,” Eric said. “Kazakhstan should be proud of its heroes! I am grateful to the footballers and coaching staff for such a victory. Despite all difficulties in the match, they did their best to make the victory happen. One can say that the task to play in the group stages of the UEFA Europe League was reached. We will play in the group stages for the fourth time in a row, which is, of course, a great achievement to be proud of,” said FC Astana’s President Sayan Khamitzhanov. 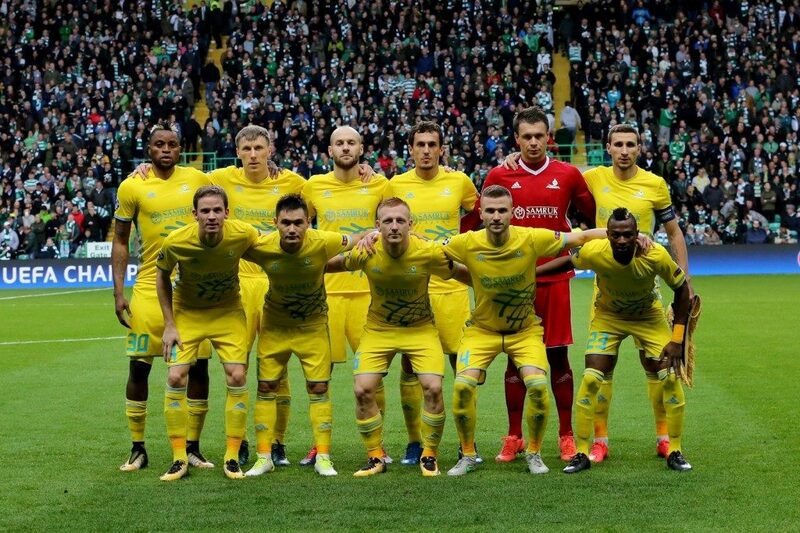 FC Astana will face Dinamo Kiev, Rennes from France and Jablonec from the Czech Republic in the Group K of UEFA Europa League group stages.